EDIT: follow up post here. I just wanted to thank everyone who voted in my mini-poll. 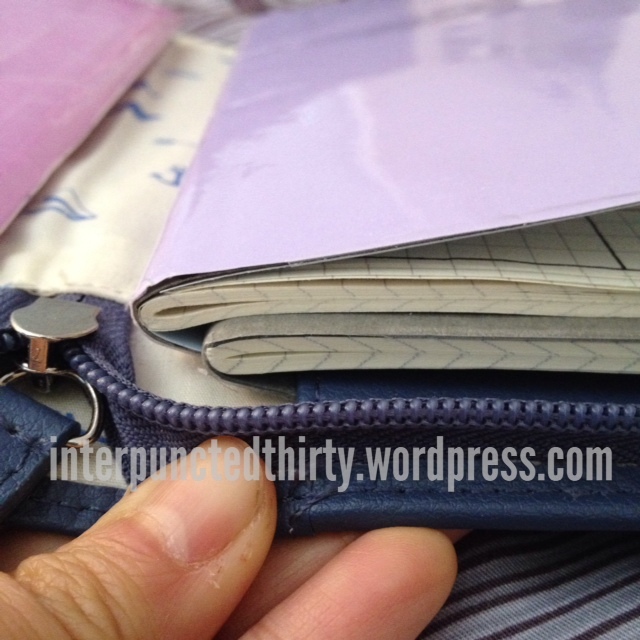 These are the results with an overwhelming vote for ‘bullet journal – personal organisation’. These posts are bascially my personal organisation using the bullet journal. There will be a new post in the next few weeks regarding a change in my personal organisation systems, and a shift to using the bullet journal for work. I’m still trying to decide on the best option in showing my work bullet journal without compromising client confidentiality. My Lamy pen sits in the TDW pen holder, with the highlighter and mechanical pencil tucked in the TDW wherever it can fit. The Papermate Inkjoy floats around in my bag, for those times when someone asks to borrow a pen, and never returns it (pet peeve!). I still rely on my iPhone in conjunction with paper-based planning. There are several reasons I don’t carry as much, the main one being that my bag gets too heavy. I use my planner for just pure plannning. I’m not one to embellish with washi tape, stickers, stamps, etc., although I consider myself a creative person. I like to compartmentalise aspects of my planning life. Planning is organised, easy to access and read; whereas, my creative/journalling side is where I can be spontaneous, messy and experimental. I don’t like those two worlds to overlap. I live a busy and frantic life, I don’t need it to pour over onto my free time. That aside, simple organising means more streamline management for my life. This was mentioned in my new acquisition post. The craft notebook was made by me using paper I purchased from Daiso. I wish I bought more because it’s pretty good for craft paper and my local Daiso has stopped stocking them! Anyhoo, the craft notebook is inserted into the inside left cover of the TDW. This is a new habit I’m trying to develop, which I like to call the “daily one-liner”. It’s basically one line to summarise my day, whether it’s a mood, an event, one simple thing I enjoyed, etc., and I use different typography styles and simple graphics to eventually fill entire pages of it. (See a sample of this in the ‘new acquisitions’ post). There’s usually a process of sitting still for one minute to clear my head, and then going ahead with a “daily one-liner”. I’m the first to admit that this isn’t an original idea, and was probably inspired by those 5-year journals that have been in circulation for several years now. But this process for me is a form of quick meditation and journalling in one. The two grid notebooks are inserted in the right side cover, overlapping each other. More to follow… I promise!